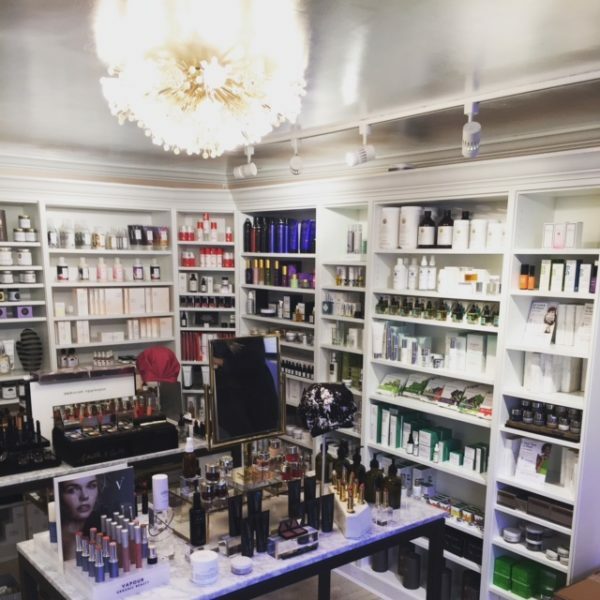 After I posted Going Organic about my search for natural beauty products, I popped into Cayli Cavaco Reck’s shop Knockout Beauty on the Upper East Side. Daughter of the ex-creative director of Allure magazine Paul Cavaco, Cayli’s interest in beauty and skincare started in her early teens and is now not only her passion, it’s a growing business. Following the success of a seasonal shop in the Hamptons last summer, the Lexington location is now a permanent address. Packed with beautifully packaged natural products, the best part of the visit to the shop was the consultation with Cayli herself. I left with a slew of samples and detailed instructions on how to apply them and realized that an important part of buying beauty products are the recommendations from someone knowledgable. Then you can order refills online. I found Cayli through an article about her new store in Bridgehampton months ago. I finally met her the other week and am thoroughly smitten with her products, knowledge and sensibility. Thanks Preston for spreading the word. So grateful for this post! I am on the hunt for face products that won’t give me allergies. Checking out Knockout Beauty when I am in the city next week! Oh, I read about her on instagram! Let us know how you get on. I am going to try out some Kjaer Weis products soon, they’re supposed to be very good and are refillable too, so waste-free. There is nothing as fun and rewarding as a good face-to-face shopping experience with a delightful, knowledgeable, attentive sales associate (in this case the owner). So much better than reading descriptions online and purchasing without any actual guidance. We have become so trained to serve ourselves in every way, and it is never as successful or gratifying as spending time in a pretty shop, learning and buying! I will stop in next time in NY.